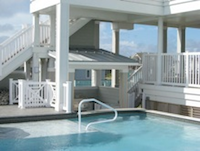 Twice weekly Outer Banks Pool and Spa Service is probably one of the most common pool and spa services up and down the beach. 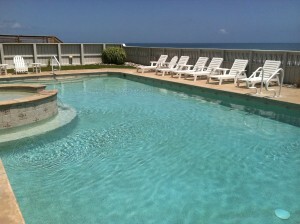 Twice weekly pool and spa service is catered more towards Vacation Rental Properties. This Service is mandatory in rental house that are occupied. In my opinion if you want your pool and spa looking pristine all the time this is the pool and spa service for you. Two pool and spa visits per week depending on your turn over day(Friday, Saturday or Sunday). Clean up debris and trash from pool area, then blow the pool deck clean. Empty skim baskets and clean and scrub the waterline and or tile line. Vacuum debris and sand form the bottom of the pool and spa. Straighten out and clean pool deck furniture. Secure pool ares and latch the pool gates! Safety First! Twice weekly Pool and Spa service is the way to go. This way you and your guest can get the most out of your aquatic environment. We vac pools twice a week to make sure your pool and spa stays clean keeping everybody happy. 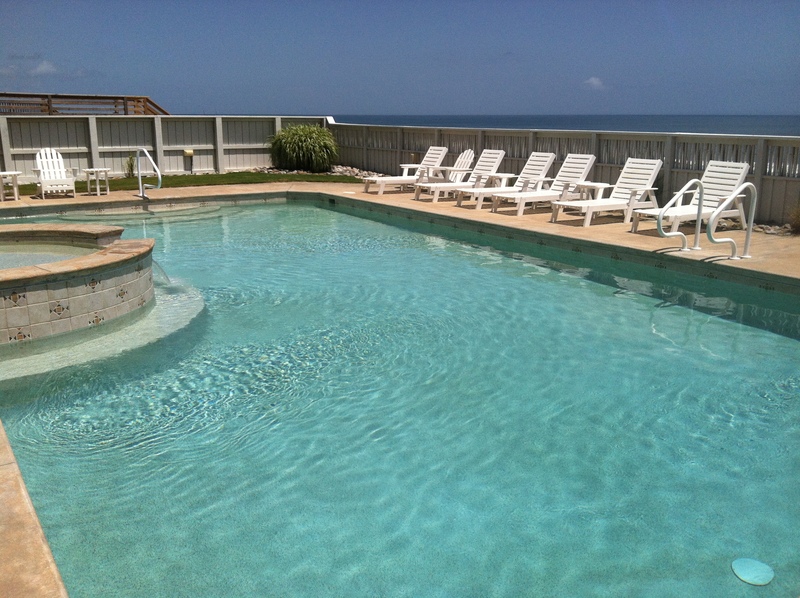 We work well with all major rental companies on the Outer Banks. You can check out our Pool Service Rates Here. Call Barefoot Pool Service 252-564-9888 for a free service estimate or Contact Us Today.